As a pretty big wrestling fan I’ve been looking forward to WWE 2K16 since it was announced, and while I may have no interest in the ‘Attitude Era’ stuff, due the fact I never watched it as a wee young lad, I do have an interest in good games, and WWE 2K16 looks to be leaps and bounds better than the mess WWE 2K15 was. With the inclusion of NXT talent on the massive roster and what sounds like a revamped Universe and My Career modes, the game looks and sounds promising. To me wrestling games are always about dumb fun. As long as I can still set The Undertaker to use entrances that don’t fit his character; like Kalisto’s, and when online I can beat up everyone’s self-insert, beefed up, jacked dude with tattoos covering 90% OC of his body I will be happy. The internet has a very selective memory, especially when it comes to anything produced by DICE, or indeed EA. 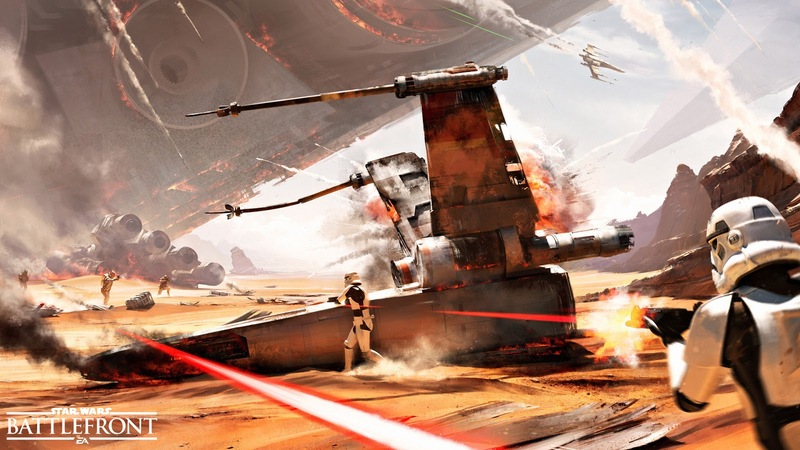 Battlefront is an exciting prospect but one that faces an uphill battle from fans of both; DICE’s first person shooters, the Battlefield series, and the original Battlefront games. A game that feels like a reskinned Battlefield game would be disappointing, exchanging M16s for E-11’s wouldn’t be enough, but a stripped down adaptation of Battlefield would be worse still. Earlier this year Battlefield: Hardline, developed by Visceral rather than DICE, proved that the Frostbite engine can support very different types of first person shooting, regardless of whether you feel Hardline was a good game or not. What is abundantly clear, having recently revisited both Battlefront and Battlefront II, is that DICE’s Battlefront will find few answers in the series’ roots. I would urge you to check out the linked articles for greater detail if you’re interested. In short; the combat is dated to the point of not being enjoyable and the entirety of game hangs upon the desire to replay the same few scenarios over again, which is fine but existing before Call of Duty 4: Modern Warfare means there’s no progression to be had. DICE’s efforts to spice up the starfighter action have been met with as little enthusiasm as could be possible, which is understandable though I feel unjust, Battlefront’s dogfighting will, at launch anyway, take place in-atmosphere rather than open space. This gives DICE a great deal more to work with; natural obstacles, clouds, ground defenses, that don’t exist in space, of course there are ways to compensate, but they usually don’t appear organic. Take Star Wars: The Old Republic’s Galactic Starfighter mode for example, the maps are built symmetrically with a density of debris and asteroids that really isn’t found in the large majority of space. If DICE can give the game a feel of its own, one that complements the Star Wars visual style, Battlefront could easily be the shooter of the season. 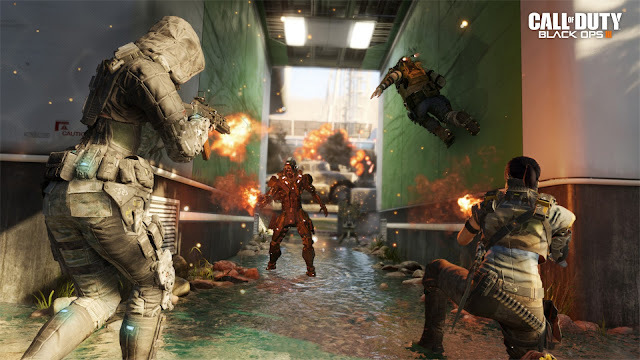 After playing some of the Black Ops III multiplayer beta my excitement for this game has risen. This is a Call of Duty game, meaning you can expect the gunplay to be good, the pacing to be fast, and when you're having a bad game it’s your entire teams fault. The addition of the ‘Specialists’ is a cool concept which I have not played around with too much, but I can see good potential there to keep the game fresh. I am really looking forward to the campaign as a big fan of Treyarch and their stories. They will have to do something impressive to beat the World at War story; which I feel is the most immersive story in the Call of Duty series, the Black Ops I story; my favourite story of the series and the Black Ops II story, which gave the player the choices and real-time strategy style side missions, providing a unique and interesting experience to the game. Don’t mistake my anticipation of Assassin’s Creed Syndicate as genuine enthusiasm for anything Ubisoft has said about, or shown of the game. 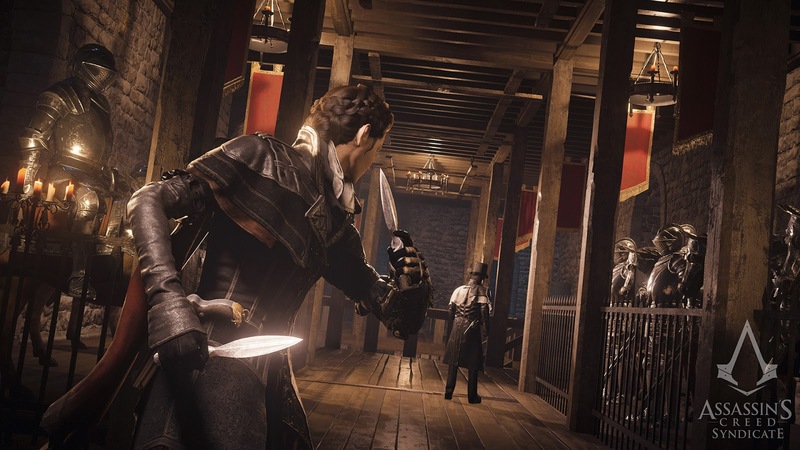 Assassin’s Creed Syndicate is the more traditional of the two large games Ubisoft are bringing to the store shelves this holiday, the other being Rainbow 6: Siege, a game quite unlike Ubisoft’s big releases of the last few years. The real reason I’m really looking forward to Syndicate is to find out if last year's woes were a result of the volume of large games Ubisoft were shipping in the relatively small timeframe, or if they are genuinely in a bad spot internally. This year hasn't exactly inspired confidence, we’re talking about a company who was unable to release a Tetris game without technical issues, not even the indie-scale Assassin’s Creed Chronicles: China shipped cleanly. More recently, they published Toy Soldiers: War Chest, which was a technical mess on the consoles, hamstrung on the PC, and of course riddled with day one DLC and microtransactions. I am eager to see if they have learned from Assassin’s Creed: Unity, from a game design standpoint; I want nothing more than for Ubisoft to redefine the open world genre, as they did with Assassin’s Creed 2. Assassin’s Creed IV: Black flag was I feel the best title in the series and perhaps the last good big Ubisoft release as well, it was simultaneously the most Assassin’s Creed, and the least Assassin’s Creed. Black Flag truly understood what was fun about to its mechanics, the ‘every finger a fish hook’ mentality really worked to its advantage. Furthermore, the Freedom’s Cry DLC, that followed Adéwalé in his mission to free the enslaved black population of Haiti, captured the series’ historical side in a honest and respectful manner. These are two things that Assassin’s Creed Unity utterly failed to do, even if you leave aside the rotten microtransactions, the crippling performance issues, the cavalcade of bugs, game-breaking or otherwise, and totally meaningless story. The game punished the player for trying to play in an action-oriented way, and as nice as Paris looked, Unity utterly failed to capture the culture of its people. 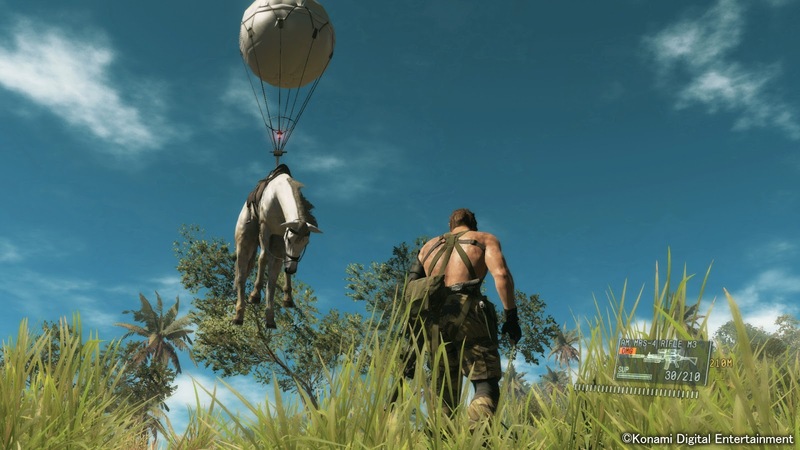 There isn’t much I can say about my excitement for Metal Gear Solid V: The Phantom Pain and keep this written piece PG friendly. This game has Game of the Year potential written all over it. With high ratings pouring in from all of the major videogame outlets it’s hard to keep away from spoilers of the game's story, but it’s clear that it is something special, with its sheer vastness it very may well revolutionise the open world videogame genre. While there’s been some issues between Hideo Kojima (director/producer/designer/writer) and Konami, his name having been purged from the game, this is STILL deep down a Hideo Kojima game. From its dumb wacky humour to subtle metaphors on the US government, this is a Hideo Kojima game in the hearts of all Metal Gear fans, though unfortunately it looks to be the last in the series. With the game releasing in less than 4 days I could not be more ready to pour hours of my life crawling across Afghanistan, and fulton-recovering sheep and goats to fill my Mother Base. 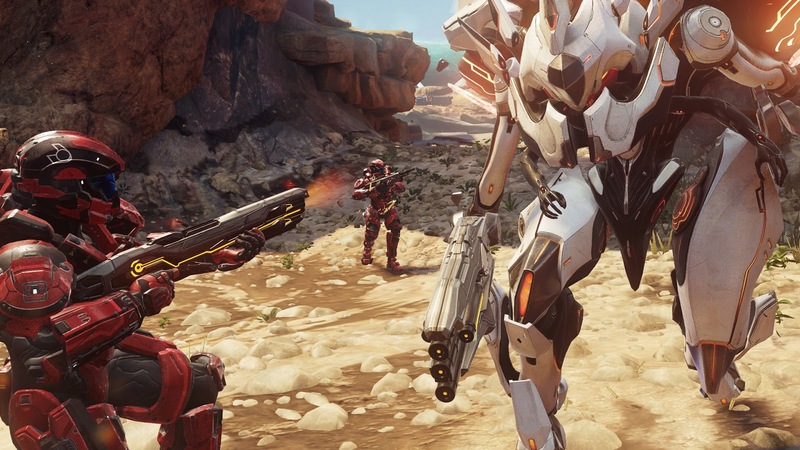 Halo 5: Guardians is one of those games, not unlike Syndicate, that intrigues me rather than excites. The prerelease material and my time with the multiplayer beta, left me more than a little ambivalent, and my views on the new abilities and movement options, particularly in multiplayer, seesaws on a near daily basis. While I have little doubt Halo 5 will be a competent enough shooter and that Halo: The Master Chief Collection was an anomaly 343 Industries will not repeat, I find myself doubting the narrative direction Halo 5 and indeed the wider Halo franchise is taking. Not something I would have said following the completion of Halo 4 and its Spartan Ops. 343 clearly had a direction and voice for the Master Chief, they established a new supporting cast, some better than others, and surrounding the game’s release, they published two quite excellent series of novels. The Kilo Five trilogy written by Karen Traviss, and the Forerunner Saga by Greg Bear, both series were unlike anything previously seen in the franchise, with Traviss capturing the human element, and Bear bringing the ethereal Forerunner’s to life. Halo 5 though, follows two dismissible and somewhat offensive spin off games, a slightly more appealing (ongoing) comic book series, and three novels of complete drivel. Admittedly, the podcast series Hunt The Truth, following war journalist Benjamin Giraud as he uncovers ONI’s (Office of Naval Intelligence) deceptions and crimes, was interesting. It didn't go in the direction I wanted to see - which is true of most North American media – but it was a worthwhile listen nonetheless. And I still hold out hope for the upcoming Troy Denning novel, Halo: Last Light, Denning being an author with some works I'm familiar with. Halo 5 should be the Mass Effect 2 of the Reclaimer trilogy, it should blow our collective minds, and reaffirm Halo’s seat in the pantheon of modern first person shooters. It really needs to do all those things to shake of the general malaise surrounding the franchise at the moment. I wait with bated breath.